A FIVE-YEAR-OLD Coast boy had a scarily-close encounter with a snake on Tuesday in what was meant to be a fun afternoon sand-boarding the dunes. 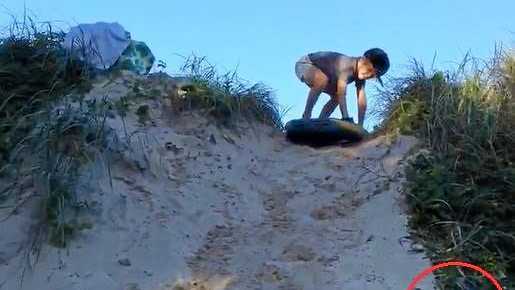 Mum of little Billy Symons, Jodie, was filming her son coming down the dune on his board when a long, black snake lurched out at him. Billy, clearly terrified at the snake's sudden advance, screamed and jumped off. Then the video cuts out. At first you might not see the snake slithering around at the top of the dune, as Jodie didn't, who was instead watching her son. But a second look reveals it was near Billy at the top of the dune the whole time he was there. Billy's dad Derek said looking back on the video now, it's hard not to laugh, but his son was extremely lucky it wasn't an eastern brown. "After the video cut out Jodie grabbed Billy and they ran from the area and the snake just slithered away," Derek said. "Then she called me and said, 'you wouldn't believe what just happened! ', but I'm glad nothing bad happened and now we think it's pretty funny." Snake-enthusiast friends of the Symons said the snake looked like a red-bellied black. "You wouldn't see the snake if you weren't looking for it, its freaky... until it jumps out in front of Billy," Derek said. "When it came across the dune to Billy he just freaked out because it all happened so fast, but now he's talking up the whole ordeal to his kindergarten friends and telling them he surfed a snake. "When I watched the video and got to the part where he stacks it, he said to me he thought he nailed the landing". 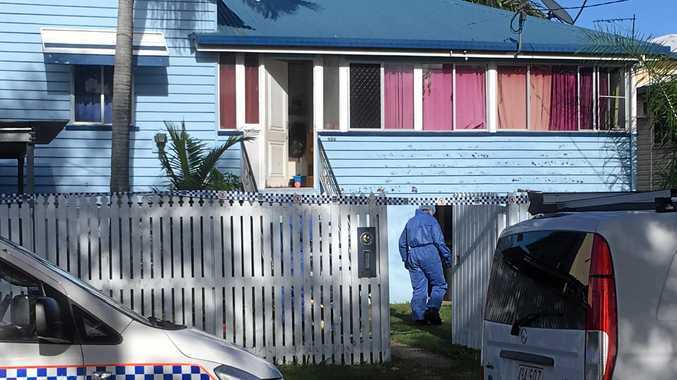 He said the area where his wife and son were was popular among families and young children. "It doesn't hurt to check the area out first," he said.